As of 2018, the R2B2 programmatic ad network will be open for demand partner integration. Partner integration for real time bidding on HbbTV will be the priority. R2B2 — an ad network specializing in real time bidding on HbbTV — will open for demand partner integration in 2018. 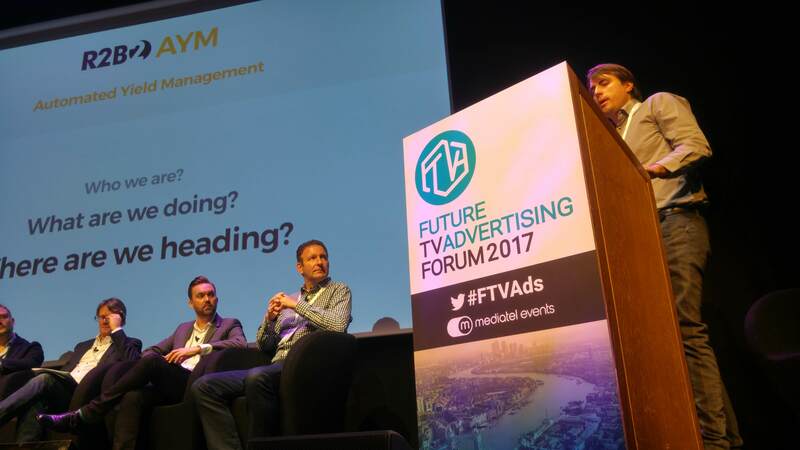 “R2B2 is an all-screen network, but our priority will be to connect with partners who are interested in buying on HbbTV,” says Kamil Foltin, CTO, who introduced the company’s plans at the Future TV Advertising Forum 2017 in London. R2B2, which uses 11 TV channels in the Czech Republic and Slovakia for programmatic ad sales on HbbTV, is opening a way for other platforms to engage in real time buying of OTT and Switch-in formats. The participating platforms will instantly gain access to the approximately 1 million devices connected to HbbTV. “Everything indicates that the number of HbbTV devices will grow rapidly, and we expect that more broadcasters will join the network soon. Integration is very simple for them, thanks to our partner Hybrid. We utilize a smaller number of formats to keep things scalable. Among others, these include Push-To-Play, Preroll and Switchroll,” says Martin Čelikovský, CEO. R2B2’s technology is used by both broadcasters and online publishers to integrate programmatic channels and for their management, transparent sales, and reporting. In addition to banners and videos, R2B2 also offers structured and native ad formats. In October 2017, they won the award for Best Use of HbbTV for Advertising and Promotion from the HbbTV Association.